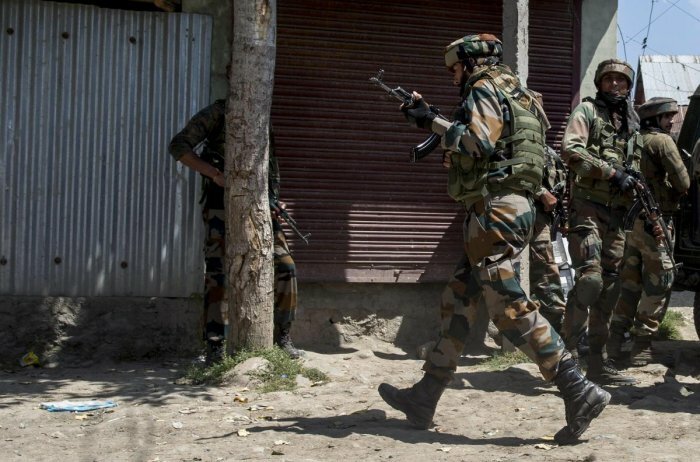 Srinagar: Jammu and Kashmir Police on Thursday said that the gunfight in south Kashmir’s Shopian district has ended with the killing of three militants. A police spokesman said that a cordon and search operation (CASO) was launched in Yawran area of Keller in Shopian district following inputs about the presence of militants which ensued in a gunbattle. He said that three militants were killed in the gunfight has been identified and their details has been shared on social media. He said that incriminating materials, including three AK 47 rifles, were recovered from the site of gunfight site. The police have requested the locals not to venture inside the gunfight zone since such an area can prove dangerous due to stray explosive materials. “People are requested to cooperate with police till the area is completely sanitized and cleared of all the explosives materials if any,” said the police spokesman.